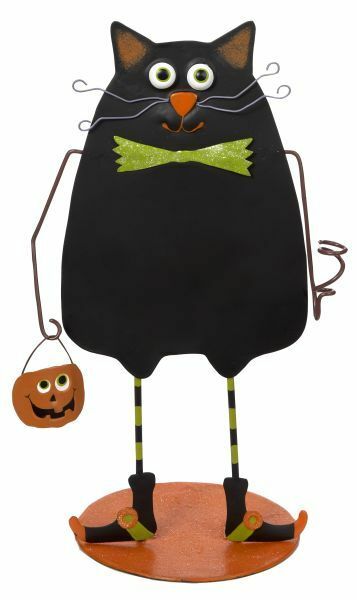 This cute black cat chalkboard from Ganz will look adorable in your home this Halloween. Write a special message on it to welcome your guests. It is made of hand painted metal. It comes apart for easy storage.